This book weighs in at 498 pages of text, plus another 100 with gazetteer and references. Augustus Welby Northmore Pugin is best known as the apostle of the Gothic Revival, his polemical books Contrasts and The True Principles of Pointed or Christian Architecture were responsible for the polychrome gothickry that spread over Victorian Britain, from churches to villages, Parliament to St Pancras. Yet, despite the “three cathedrals” and many churches to his credit, he was a designer rather than an architect, and no constructor, but reliant on George Myers, a mason turned master builder. What Pugin could and did do was decoration. Turrets, finials and tracery without, tiles, wallcovering, fabrics and stained glass within. Exuberant yet controlled, brilliantly coloured pattern flowed from his fingers to cover every item and surface, as par excellence in the House of Lords. Such is the effect at Westminster that Pugin is often named as architect in place of Sir Charles Barry, who created the structure but had no skill in embellishment. Indeed, were it for nothing else, Pugin would be renowned for the iconic clocktower that houses Big Ben. Personally, he was a bundle of eccentric contradictions. The son of a French émigré illustrator, he was educated with his father’s pupils and never learnt to spell. His first passion was for the theatre, whose large spaces, fly lofts and scenic effects marked his imagination. The 1820s were a heyday of popular medievalism, when Scott’s Waverley novels and their clones dominated. Into this mix came religious emancipation and a revival of English Catholicism, just after the deaths of Pugin’s parents and first wife (he was 20). In 1835 he joined the Catholic Church, inspired by dreams of the past derived from bare ruined choirs. In one respect, this biography is mistitled, for though Pugin’s faith was central to his life, one gets little sense of a relationship with God. Rather than prayer or confessional, his devotions were in plainchant and processionals, and splendid tombs were more to his taste than theology. He was, nevertheless, quite crazy. His manic scribbling and constant travelling indicate a hyperactive personality compounded by a domestic tyranny imposed on wives, children and employees. His knowledge was deep yet narrow: he may not have heard of the Renaissance until well into his career, yet he was arrogantly opinionated. His speech was coarse and his clothes none too clean, which did not deter several young women from responding to his courtship. Two at least were prevented by their families, but one became the third Mrs Pugin. Intensity and charisma must also account for the warm professional partnerships with Myers, tile-maker Herbert Minton and manufacturer John Hardman, and for the way Pugin charmed his many friends and patrons. So his influence burgeoned after his death the following year, aged 40. Suddenly, hyperactivity collapsed into insanity which Hill, speculatively but convincingly, ascribes to syphilis. Mercifully, he was dead within six months. His legacy is undeniable but enigmatic. Hill establishes her reputation as a very skilled biographer. A week to spare? This tome will absorb you beyond measure! Broken Promises is one of the themes in Michael Levy’s fascinating account of his life and fortunes as a friend and fundraiser for Tony Blair. A kind holiday present from my brother, who managed to make a contribution to my expanding collection of political biographies, I have to say that I am glad that I didn’t have to buy it! The book has its fascinations – not least – insights into north London Jewish family life and how some people manage to make a fortune almost out of nothing! What is conveyed is a complicated, insecure and egotistical man desperate for power and influence who portrays himself as a hapless victim of New Labour. There is on the front cover, a bold picture of Lord Michael Levy with Blair in the background. The title explains the core of the narrative – A Question of Honour: Inside New Labour and true story of the cash for peerages scandal (Simon Schuster, 2008). Ta one level these pages are an extraordinary exercise in self-justification. Understandable given the deep sense of hurt and offence levy’s arrest and humiliation gave rise to. All of us need to put the record straight when we are misrepresented and misunderstood. One is left with some sympathy for Levy and concern about how much public money was spent on the police investigation. The book is revealing about Blair and the way the political machinery works. Further information is offered about the already well-documented relationship between Brown and Blair. Blair tells Levy the obvious (we are told) – that he believes that Brown is unlikely to beat Cameron at the next election. It is depressing that these judgements are made solely on the basis of style, rather than the substance policy. In the end, like many books in this genre, this text could have afforded to dig deeper. What might any of us be prepared to do for power – or to be close to power? The male ego is an extraordinary force that can create and destroy; that lives by both fact and fantasy! And what are we to make of party funding – hardly invented by Blair – a complex set of arrangements that has gathered momentum with all political parties. Surely the time has come to limit such funding and make a break with politics and those who fund with dubious motivations? And honours such as Knighthoods and Peerages – a lottery that demands an overhaul with more transparency. Levy fails to seize the opportunity to engage in a wiser place or obvious questions. Another volume to be added to my ever expanding collection of political biographies. Sadly, it adds little to the picture of the Blair years! It will enforce the impression that politics is a grim business of self-serving and self-justifying egos…. and little cynical and not the complete the picture, but a significant part of modern democracy. What hope for change? What kind of politician would you make? And if offered – what would you like your Knighthood or Peerage to be given for? Watching Andrew Marr’s Britain from Above (BBC1, Sunday) gives us an extraordinary picture of our country. Clogged roads and railways, the smoking nation’s ageing arteries, run between massive landfill sites and even more massive sewage works. Ships crawl, bumper to bumper, round our shores. Biblical swarms of aeroplanes darken our skies. The ether hums and crackles with information overload. Total meltdown is never far away. And because so much of this is represented graphically on this show – we follow dots of light as they trace the paths of traffic, flights, telephone calls etc – it looks as if Britain is populated by millions of glow worms. It’s nice to be brought down to earth (by going up into the sky, interestingly). There is loads of fascinating stuff here; I was particularly interested in how the delicate balance of our national electricity supply is affected by what’s going on in EastEnders. This was BBC Tv at its best. Search out the web page for fascinating inofrmation about this extraordinary country. Tucked away between Knowle and Balsall Common this cluster of buildings is one of the West Midlands best kept secrets. Here are some things you may like to know? Gilbert Scott restored the majestic 14th century Hospitaller Chapel in 1860. I hope that offers you a flavour of our work. There will be lots of opportunity to learn more at the Heritage Open Weekend to be held on the 13th and 14th of September 2008. A bank holiday is a public holiday in the United Kingdom and also in the Republic of Ireland. There is no right to time off on these days, although the majority of the population not employed in essential services (e.g. utilities, fire, ambulance, police, health-care workers) receive them as holidays; those employed in essential services usually receive extra pay for working on these days. Bank holidays are so called because they are days upon which banks are shut and therefore (traditionally) no other businesses could operate. Prior to 1834, the Bank of England observed about thirty-three saints’ days and religious festivals as holidays, but in 1834, this was reduced to just four: 1 May, 1 November, Good Friday, and Christmas Day. In 1871, the first legislation relating to bank holidays was passed when Sir John Lubbock introduced the Bank Holidays Act 1871 which specified the days in the table set out below. Sir John was an enthusiastic supporter of cricket and was firmly of the belief that bank employees should have the opportunity to participate in and attend matches when they were scheduled. Included in the dates of bank holidays are therefore dates when cricket games were traditionally played between the villages in the region where Sir John was raised. Scotland was treated separately because of its separate traditions; for example, New Year is a more important holiday there. I could go on….. and on…… and on! Any suggestions for a Bank Holiday Pastime? The space and sea and mountains are breathtaking……. praise be! Tradition says that as you get older, you gradually lose your marbles as dottiness and dementia take over from the acuity of younger days. 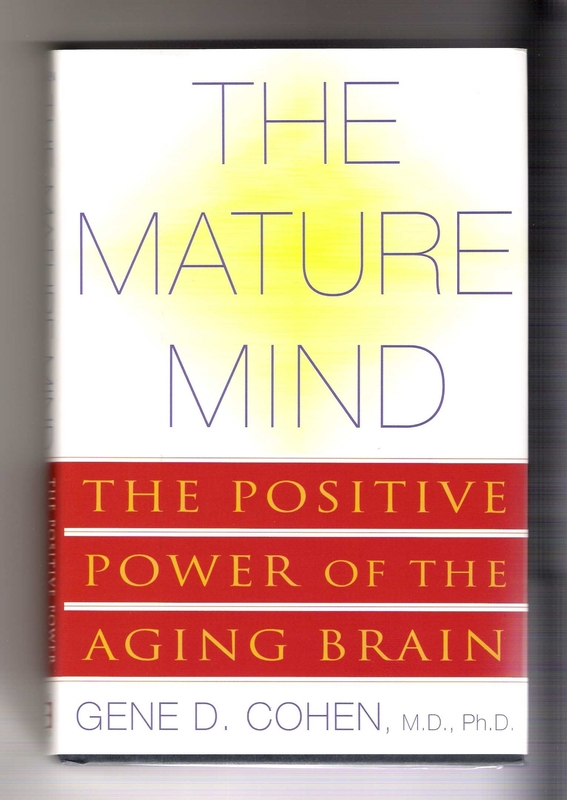 In this cogent book, Gene Cohen, director of the Center on Aging, Health and Humanities at George Washington University, shows that this is just another myth. Quite the reverse, as we get older we actually get better at thinking. So what about the truth of experience? Why are there so many dotty old folks about? Cohen shows two reasons for this: disease and fitness. First, brain decay is largely related to diseases such as dementia and Parkinson’s. Secondly, the rule of the mind is the same as with the body: use it or lose it. If you keep your mind active then it will reward you by staying active and increasing in capability. Relativistic thinking, where understanding is based on a synthesized combination of disparate views. Absolute truth is abandoned in favor of more realistic relative truths. Dualist thinking, where contradictions in opposing views are uncovered and opposites are held in mind at the same time without judgment. In this way, opposing views can both be accepted as valid. Systematic thinking allows the person to see the forest as well as the trees, helicoptering up to understand the bigger picture. The thinker is thus not trapped in personal and petty issues. Re-evaluation, from mid-thirties to mid-sixties, where we realize our mortality and reconsider our lives. Liberation, from mid-fifties to mid-seventies, where the question is ‘If not now, when?’ as people experiment with new ways. Summing up, from late sixties through eighties, where people seek to share, give something back and complete unfinished business. Encore, from late seventies onwards, where major life themes are re-stated and re-affirmed. This is one of my favorite kinds of book: one that is rooted in sound academic research (as opposed to the kitchen wisdom of many other books) and which is written for the common person. The result is a readable and authoritative text that is easy to digest and includes many real-life examples.